It's that back-to-school time of year. For students going to college, wouldn't it be nice to have a scholarship and a support system? Enter today's Feel Good Friday organization, The Posse Foundation. As explained on their Facebook page, "The Posse Foundation identifies, recruits and trains incredible young leaders and sends them in Posses to top colleges and universities across the country." Since they began in 1989, they've recruited and trained 5,574 public high school students and awarded 1.2 billion dollars (yes, billion) in scholarships from partner colleges. 1. 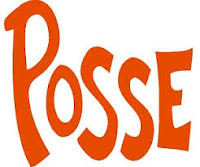 Every year, from September to December Posse uses a unique evaluation method called the Dynamic Assessment Process to identify young leaders who might be missed by traditional admissions criteria. They recruit in 10 cities around the country and are looking for motivated, talented, ambitious people who have demonstrated leadership and academic potential in high school. You can nominate a student here. 2. Once selected, scholars meet weekly with Posse peers and staff for workshops focused on: academic excellence, team building and group support, cross-cultural communication and leadership, and becoming an active agent of change. 3. The four-year campus program is all about retention. The Posses of 10 students meet with mentors individually and in groups and attend an annual weekend retreat to to discuss campus issues. 4. Final support comes in the form of a career program which provides internships, career development workshops, coaching and access to an alumni network. Posse scholars graduate at a rate of 90% and alumni go on to do great things, like become president of Ithaca College. President Obama made a donation to The Posse Foundation and you can too! Not only will you be supporting future leaders of America, a one dollar donation allows Posse to secure five dollars in scholarship funding! To stay current with all the activities, like the Posse Facebook page and follow them on Twitter @possefoundation.